3. How to travel around the city? 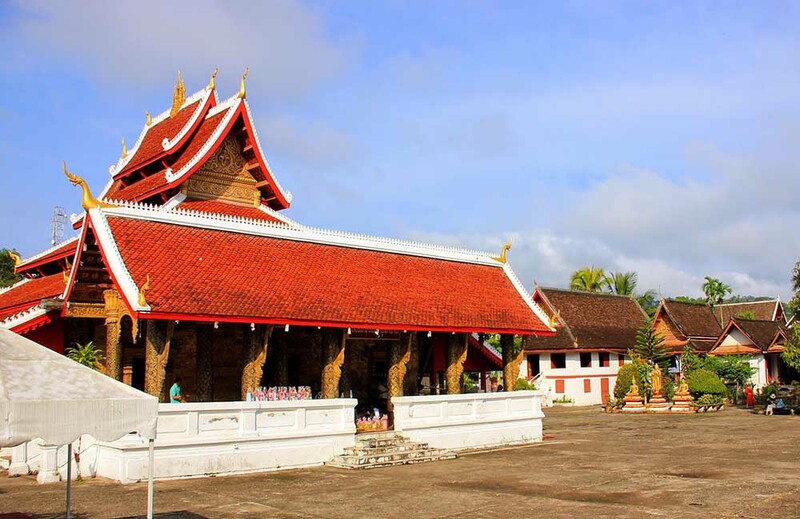 Luang Prabang was the capital of the Lao kingdom from the 14th century to 1975. 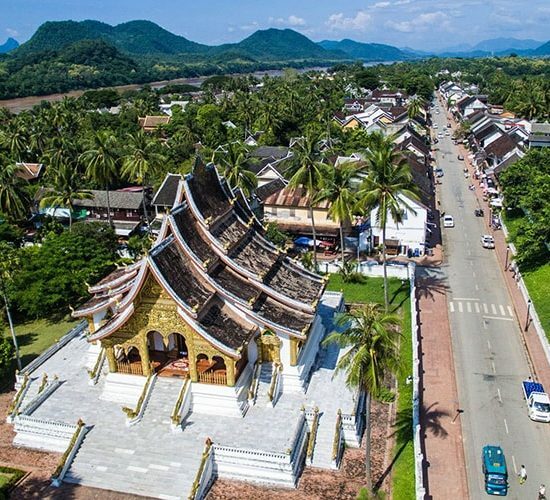 Luang Prabang is a city in Luang Prabang province and the former capital of Laos, which is recognized by UNESCO as World Cultural Heritage. 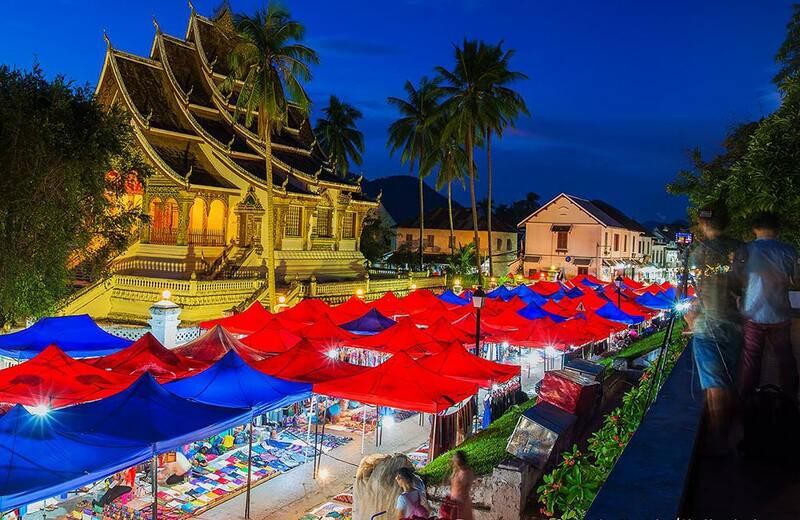 Luang Prabang is located 425km north of Vientiane, by the Mekong River. 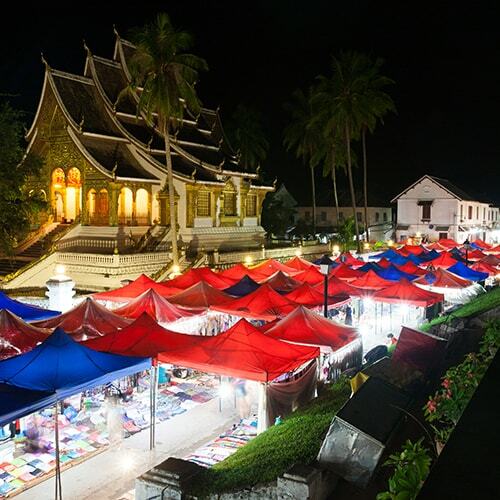 The attraction of Luang Prabang is the beauty of the scenery, architecture and everyday life here. The orange robes mourning long queues through the old streets in the early morning are probably the most characteristic of Luang Prabang. Every visitor arrives here to try to get up early to see that peaceful and idyllic image, and wants to kneel on the side of the road with the people bringing food, candy to the monks. 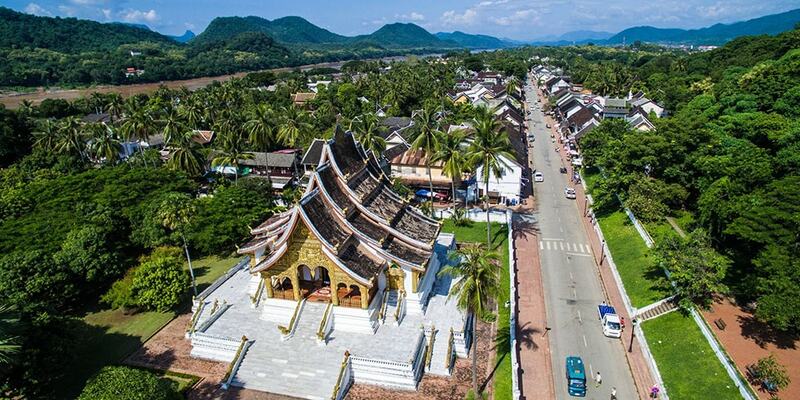 Luang Prabang is a city of long history, before 1975 it was still royal residence, the center of the Kingdom of Laos. From Luang Prabang to Vientiane about 424 km, the population of the city is 22,000 people. Luang Prabang is recognized by UNESCO as World Cultural Heritage because of the unique historical value of this royal city, which witnessed the rule of 63 kings. Besides, the city is a Buddhist center with thousands of pagodas, in which many temples are beautiful architectural points, painted with gold lacquer looks very magnificent, mysterious. Not only that, Luang Prabang is a small, charming city nestled in the Mekong River and Nam Khan in green, poetic and surrounded by the mountains surrounding the cloud cover. Located in the north of central Laos, where the confluence of small rivers with the Mekong River is surrounded by hills, the capital of the first Lan Xang Empire – Laos (1350 – 1545). 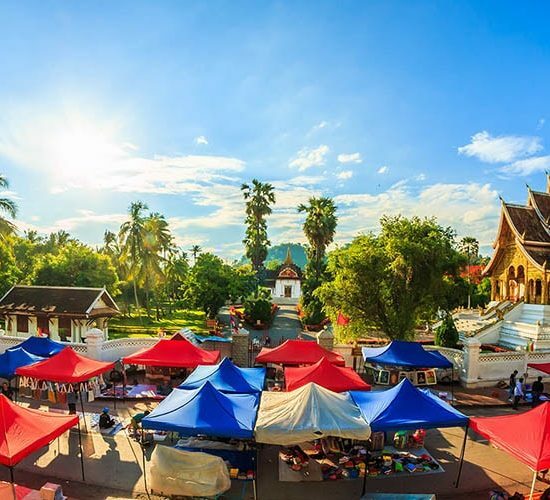 In the 16th century, although the capital was moved to Vientiane, Luang Prabang preserved its status as the cradle of Laos’ diverse culture. 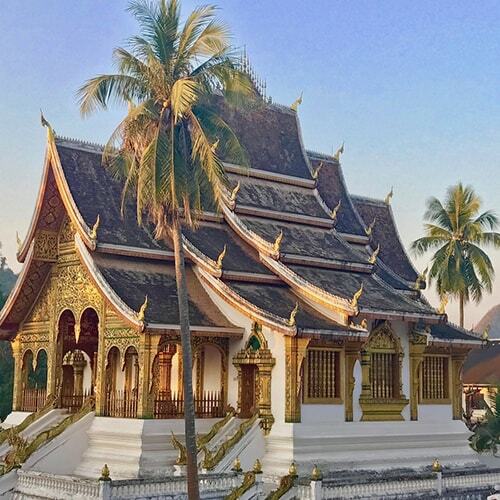 Luang Prabang is also home to the heritage of art and architecture with over 30 magnificent palaces, most of them built in the 14th century. About 40 ancient temples were built from different dynasties, each of which is a cultural monument of high artistic value. Hundreds of old wooden houses are designed in a very personal style, arranged in order along the long narrow streets to create a lovely and quiet. Luang Prabang Ancient Town has unique architecture with simple countryside houses which is not like Vientiane with tall buildings. 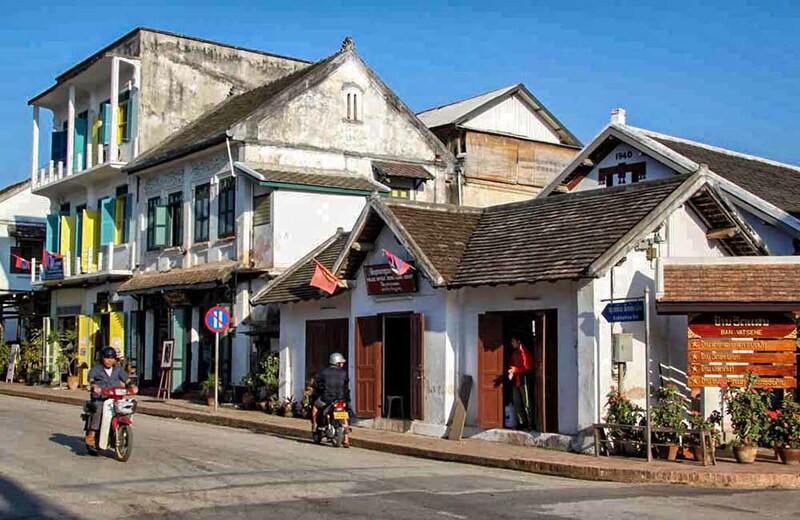 Going to Luang Prabang ancient town, you will feel some features of the ancient town of Hoi An with the ancient houses, peaceful and honest people. Every evening, the night market on the center of the ancient capital flashes light with unique souvenirs and handicrafts, so do not miss the exciting nightlife at this ancient town. Kuang Si Waterfall, about 30km from Luang Prabang ancient town, is a popular destination in the ancient capital of Luang Prabang. When you go to Kuang Si Waterfall, in addition to enjoying the beautiful natural scenery, you also enjoy swimming, bathing in cool water at the foot of the waterfall. If you like, bring more food and drink together and hold a party at the stream of Kuang Si waterfall which will be fun. 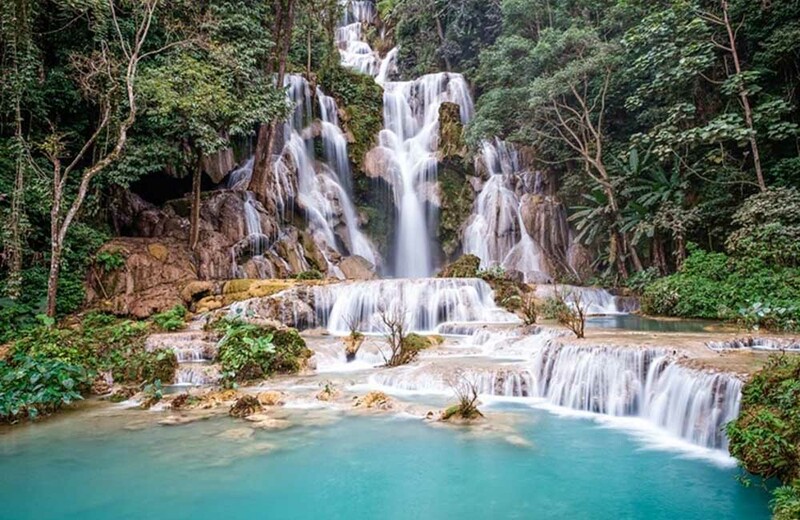 Coming to Kuang Si Waterfall – a beautiful lakeside in Luang Prabang certainly will not disappoint you. PhouSi Mountain, about 150m high, is the tallest mountain in Luang Prabang. 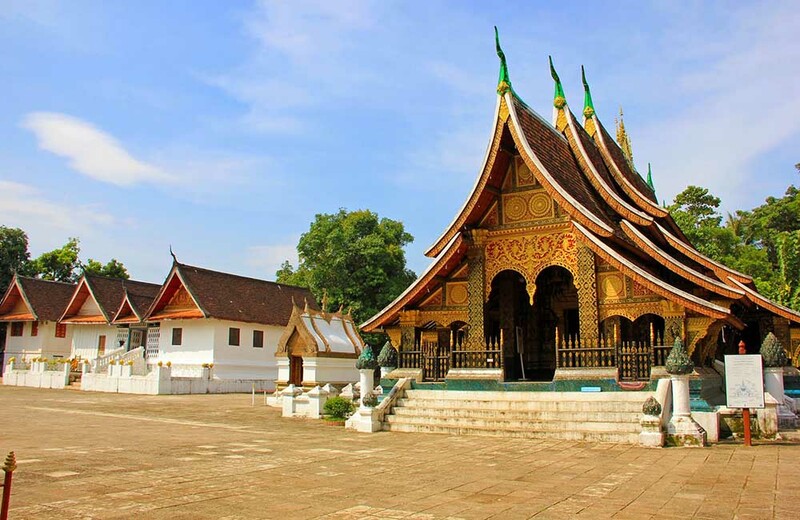 It is located close to the ancient capital city – a popular sightseeing spot in Luang Prabang that you can not miss. Tickets to visit PhouSi Mountain for each person about 20,000 Kip (equivalent to 40k USD). There are two paths leading up to Mount PhouSi that follow the main road of the ancient capital and the mountain road. Most of the time, when traveling on Mount PhouSi, people usually choose the main road and when they return, they will choose the mountain road to view the mountain. At the top of Mount PhouSi there are many statues and temples with unique architecture. You will have to go all 328 steps to the top of the mountain and also admire the panoramic view of the small capital. 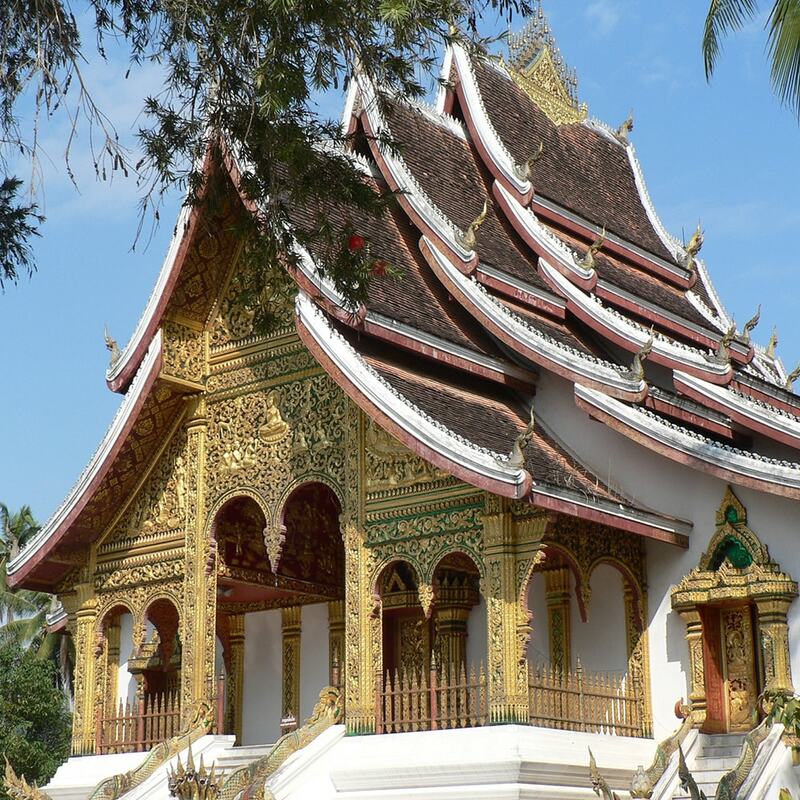 Luang Prabang with over 30 large and small temples with different architecture and Wat Mai pagoda is perhaps more special. This temple is located in the heart of the capital and on the main road, so it is easy to find. Wat Mai pagoda has 5 floors. This temple is sacred so if you have prayer or wish, do not be afraid to speak to Buddha. 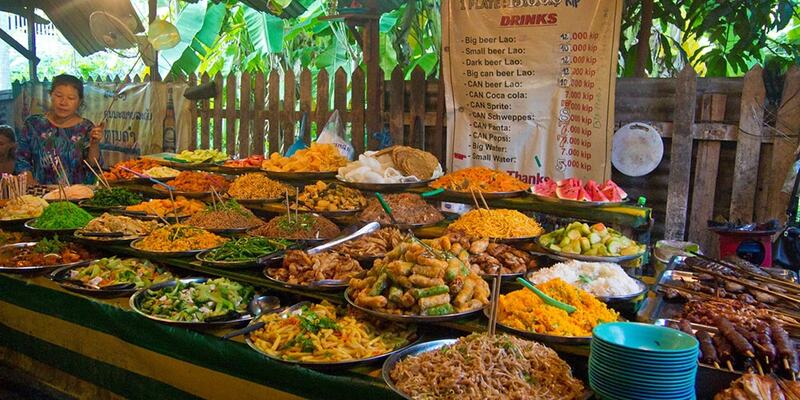 This is also a popular attraction in Luang Prabang for those who are traveling to Luang Prabang. When you arrive in Luang Prabang you can move by tuk tuk or bicycle. If you go group of 5 or more, rent a tuk tuk from 200,000 to 220,000 kip. If you love to explore by yourself, seeing around the peaceful streets of the capital of the million elephants by bike is a great idea for only about 20,000 kip / bike. 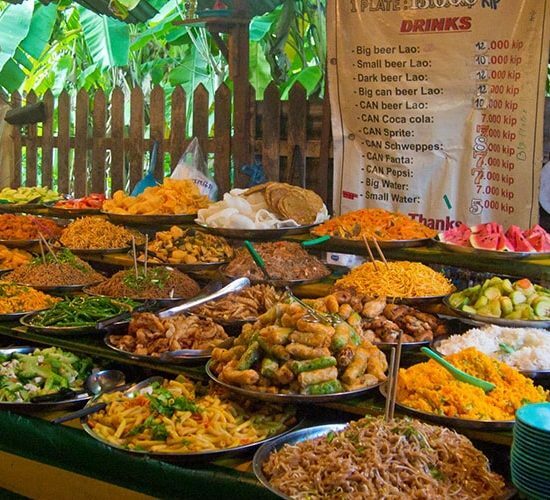 It is not difficult to find food in Luang Prabang, you can always have a variety of dishes, rich in characteristics of Lao cuisine at the beginning of the main road of the old town and especially at the night market – food heaven. 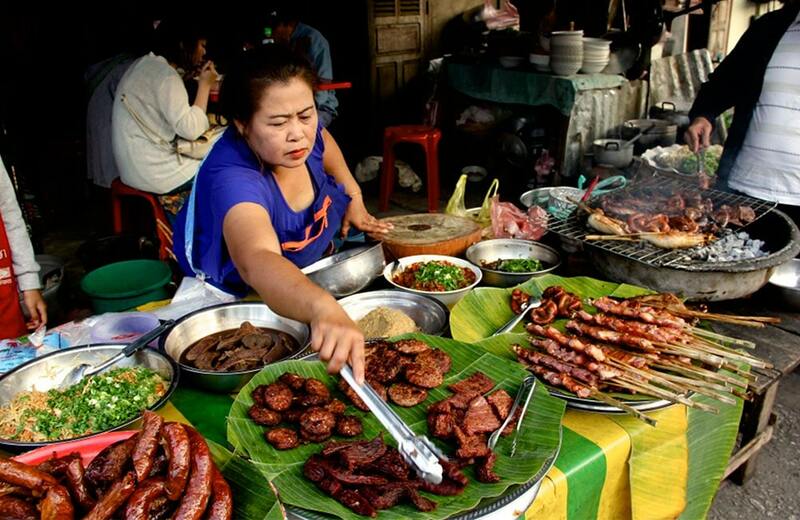 Do not forget to try the special dishes of Laos such as Or Lam, Sai Oua, Ping Kai, khao jee … The price of this dish ranges from 10,000-15,000 Kip. With drinks, you can buy a cup of smoothies at 10,000-20,000 kip. Drinks in Luang Prabang are more expensive than in Vietnam so we shouldn’t choose bottled drinks. If you want to sit down for a cup of light coffee in Luang Prabang, choose a restaurant with a nice view to relax, because the prices in the riverside cafe here are not much difference. Beer in Laos is quite good so it would not be a bad choice if you choose beer to bring home as a gift. 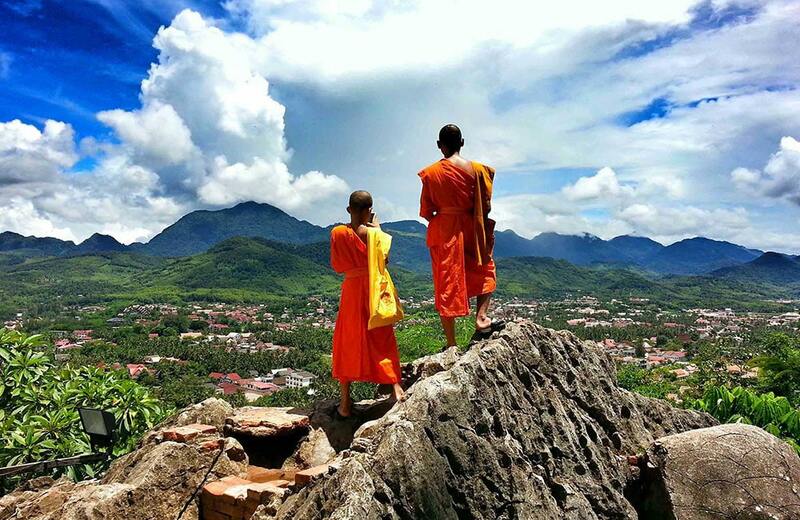 The climate in Luang Prabang is divided into four distinct seasons, similar to the climate in northern Vietnam. 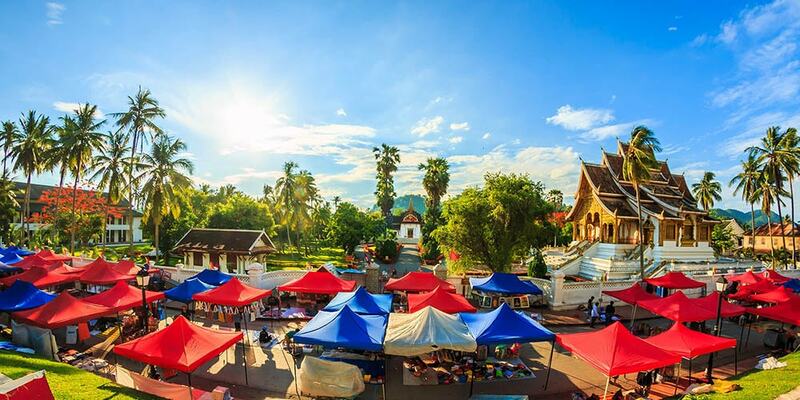 You can go to Luang Prabang at any time of the year. However, you should consult to avoid periods of time that are too hot or too cold and to prepare the food accordingly. Bring with you your hat, sunglasses, sunscreen for the summer. And you should bring soft shoes to go around. Tuk tuk is the main mean of transportation, if you go in large group, you can ask for discounts. You should buy a pickup ticket one day and you should buy a round trip.